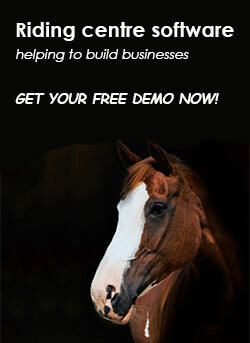 One of the biggest problems many of you face is staffing and more specifically finding quality equestrian employees. Most of the riding centres we deal with have encountered problems at some point with staff that are unreliable, under-skilled and un-inspired. Don’t feel too despondent. There are some really committed, hardworking and enthusiastic riding instructor, grooms, riders and office staff who are ready to work in your equestrian business. The problem is the best people for your jobs are few and far between and your competitors are all looking to get their hands on them so how are you going to get their attention. This small pool of top quality employees can pick and choose where to work and they know their value so they are looking for a deal and rightly so. As an employee, you need to work out what motivates these candidates. From this you can develop your training and employee strategies and work on developing relationships that will last. Yard managers – your yard manager is going to be the person that you rely on to motivate the team on a daily basis and they need to be well respected. Their skills should be wide ranging from understanding the business on both sides to great front of house skills. Your instructors will spend more time conversing with clients than anybody and its’s their actions that will further your business so they need to recognise the importance of their role and compensated for their professionalism. All of this comes at a price and a competitive salary is one of the key factors that the employees take into account. Recent surveys have shown that the salary being offered is the number one reason why employees leave their jobs. As you ‘d expect, the costs of living are always on the increase and your staff need to account for that so this has to pay a big part in the real world situations. Obviously this doesn’t strictly mean you need to be offering the highest salaries as there are additional factors sch as training packages, competition incentives and longer term benefits, but you need to make those totally clear. Anyone you employ that has real get up and go will probably be very focused and keen to develop their own career path. With that in mind you need to make sure that you have a proper development plan for their own personal growth along with additional rewards. Keeping them motivated is a real challenge for any business who is working hard to both keep staff happy along with clients and horses, but it is critical if you’re going to keep long term employees. If a keen member of staff start to lose faith in their chances of personal development then they’ll be looking elsewhere for better opportunities. Like we said before, employees have options and it is the role of the equestrian business to deliver an attractive and sustainable package if you want the best employees.